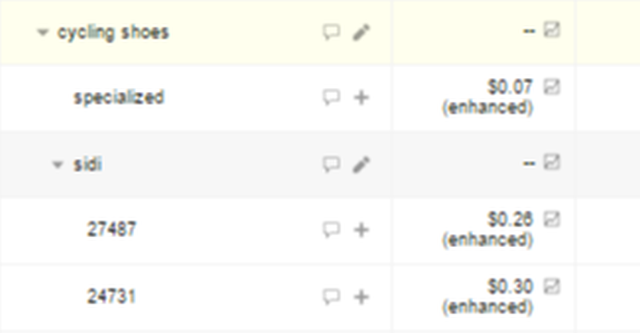 With Google’s roll out of the new Merchant Center interface came more functionality for Feed Rules. Feed Rules debuted earlier this year to allow marketers to make some changes to their product feed data right within Merchant Center. But what can you really do with Feed Rules and who should be using them? The consensus is that Feed Rules are still best for simple updates, and it’s ideal to make changes to the actual feed. In reality, however, that’s not always possible or timely and why Feed Rules have such appeal. Maggie Webb, Partner at Five Mill Inc., says that while most fixes and feed updates require editing by a feed service or developer, Feed Rules can offer a fix in the interim and be a big help to smaller businesses that don’t have resources at the ready to make updates. 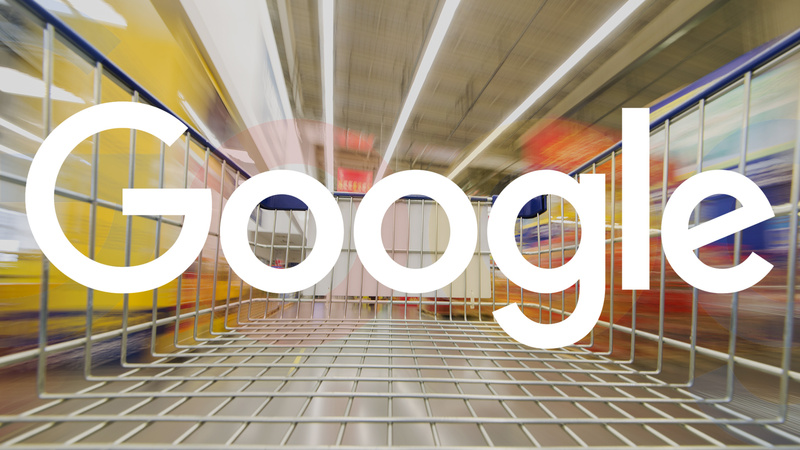 “Since a high percentage of ecommerce traffic is from Google Shopping, even a simple change from a Feed Rule can make a big impact on an account,” says Webb. For example, Webb has used Feed Rules to pull a Disapprovals report and manually manipulate best selling and top performing products that are missing required information with an if/then statement in Feed Rules. Webb has also used Feed Rules to create new Custom Labels in order to restructure Shopping campaigns, and to create product filters for Dynamic Remarketing ads. In an account that had a poor PLA structure because the Product type column wasn’t being used effectively (it just reused what was in the Google Product Category), Webb set up rules to populate the Custom Column 0 field in a way that would allow her to structure the Shopping campaigns more effectively. She created rules to pass the most granular level of the Google Product Category field to Custom Column 0. “This allowed for a hierarchy of bidding based on grouping products based on their category taxonomy, then by product brand within that category taxonomy and then by individual Product ID,” says Webb. 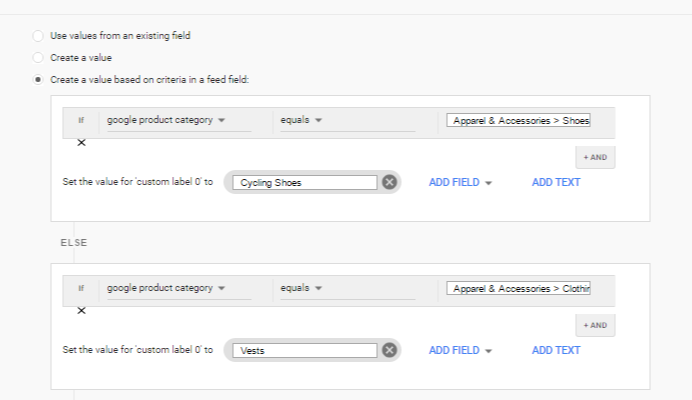 The new Custom Column enabled Webb to restructure the campaigns to be able to set bids based on Cycling Shoes, Brands within Cycling Shoes and the Product IDs within those Brands in Cycling Shoes. The client that needed a subset of products filtered out of their Dynamic Remarketing ads had no common identifier in the feed that could be used to remove them. Webb created a new Custom Label by manually inserting a value based on the product IDs to filter out the unwanted products without having to wait for manual changes to the feed. Todd Bowman, Director of SEM and Feeds at Merkle, thinks Feed Rules can be very beneficial with retailers with small and simple feeds, but points to limitations for larger retailers. For example, it can take a few hours to apply new rules to larger feeds, according to Google, and there isn’t a way to combine feeds from separate data sources with Feed Rules. Retailers with hundreds of thousands of SKUs and possibly hundreds of optimization rules are still going to be best served by feed management providers and agencies like Merkle that can push out large, complex feeds in less than 20 minutes, says Bowman. You can find more details on the updated Feed Rules in the Adwords help center. Tags:Channel: SEMGoogleGoogle: AdWordsGoogle: AdWords: Product Listing AdsSearch AdsSearch Ads: Product AdsSEM Tools: PPCSEO & SEM Tools.